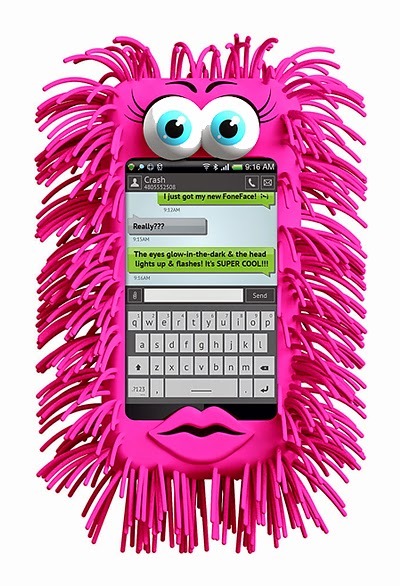 7 Kids and Us: Fone Face- the One Size Fits All Cell Phone Cover! 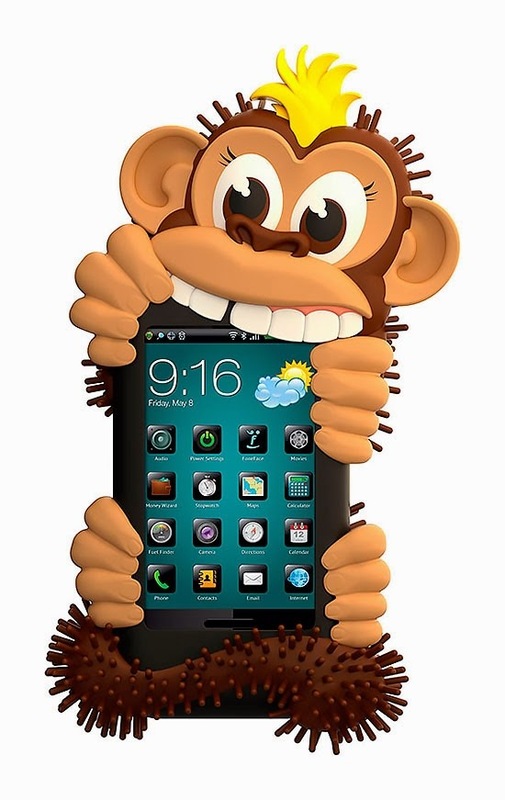 Fone Face- the One Size Fits All Cell Phone Cover! Fone Face Stretchable Phone Covers were created BY kids for kids! Based in Chandler, Arizona, FoneFace creates unique "one size fits all" covers for smart phones as well as other digital devices – music players, tablets, and laptops (COMING SOON!). Founded by a 14-year-old, FoneFace aims to create fun, engaging, kid-friendly products that amuse and delight the young and young-at-heart. FoneFace is available for purchase in leading retail chains and specialty gift stores across the US and abroad. Quinn (shown above in pink) is priced at $12.99. Shining like a movie star from head to toe, with glossy hair, a radiant smile and glittery pink outfits, Quinn also shines as the star of her school’s debate team. She’s brilliant as the school council president too, proving that girls can be both pretty and brainy. With a bubbly personality, Quinn always looks at the bright side of things and chooses to see the best in others. Although Quinn is a quintessential fashion plate, don’t let her sparkling jewelry or supermodel looks fool you: Quinn cares deeply about important social, cultural and political issues. She may just one day become the first Supreme Court Justice on the cover of Glamour magazine! Cheese (the monkey pictured above) is priced at just $2.99.